We save for retirement because we expect we'll live a long time in old age, a period where we expect to be relatively unproductive. We invest in stocks because we expect the market to provide outsized returns when compared to other asset classes. We set aside emergency savings because we expect that bad things will happen — if not tomorrow, then next week (or next year). We expect to live a long time in old age because statistically most of our contemporaries live a long time in old age. We expect the stock market to provide excellent returns because for the past 100 years, that's what the stock market has done.We expect bad things to happen because bad things always happen. Generally speaking, there's nothing wrong with this method of planning. It works. When we base our expectations for the future based on what's happened in the past, we tend to get good results. We accumulate money for when we're no longer able (or willing) to work. Our investments grow. We have a cash cushion for when the car breaks down or little Jimmy breaks his leg. But what happens when the old patterns break? What happens when past data becomes meaningless? That's the subject of an intersting article from Nick Maggiulli at Of Dollars and Data. 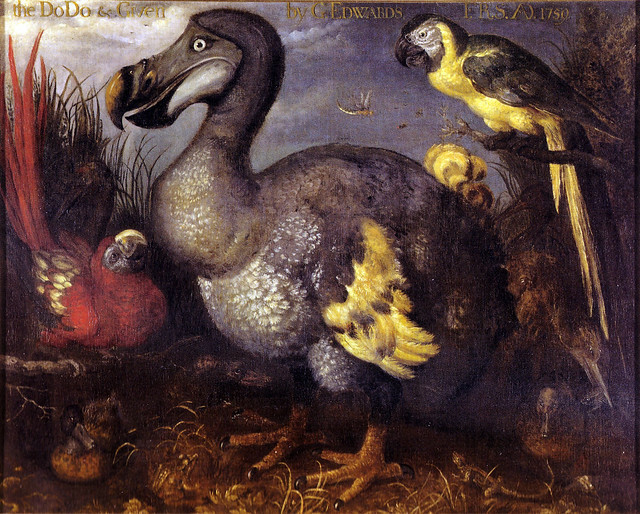 He tells the story of how the dodo went extinct. Evolving in an ecosystem without predators, these birds had no fear of humans. They had no expectation that another creature might hunt them down and eat them and end the species. From the perspective of the dodo, the arrival of humans (or any other large predator) was outside the realm of its evolutionary grasp. Anything the dodo had approached previously had not tried to eat it. However, the arrival of humans broke the old pattern. It was beyond all expectations.